$3 select draft beers, $5 appetizers, house wines, well liquors, and $6 featured cocktails. *These are, of course, subject to change. If you find any additional offers or notice some are no longer offered, please let me know. There is also a Strip Happy Hour page if you venture away from Fremont. This is reprint of an older post, from around May of this year, however I thought YOU may have missed the demise of the Sahara. This is very important news, for Las Vegites. After all, this is like Las Vegas loosing an arm or a leg. Posted: May 14, 2011 | 8:52 p.m. Updated: May 15, 2011 | 1:10 p.m. In it’s day, the Sahara was Las Vegas’ epicenter. For almost 35 years, he manned the Strip hotel’s front desk. He watched the parade of celebrities and the pseudocelebrities. He supervised thousands of hotel check-ins for high rollers and want-to-be high rollers. Villalobos will be at his front desk terminal Monday when the Sahara’s final guest checks out at around noon. The nearly 60-year-old Strip resort will cease operations two hours later, a victim of both the recession and of progress. Sahara owners SBE Entertainment of Los Angeles and private equity firm Stockbridge Real Estate of San Francisco acquired the hotel-casino in 2007 from the family of the late casino pioneer William Bennett. The new owners had hopes of breathing new life into the resort. 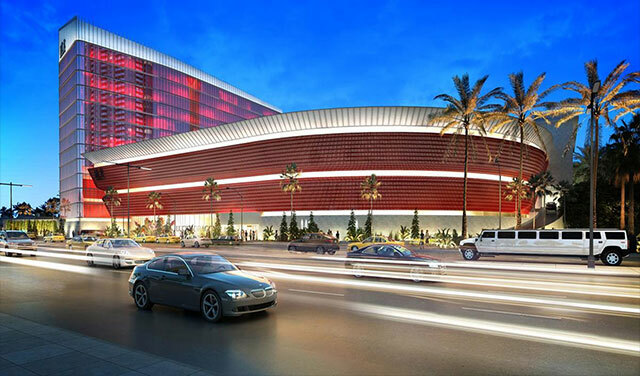 They have not announced plans for the 18-acre corner of the Strip and Sahara Avenue. In March, SBE said it was “no longer economically viable” to operate the Sahara. His thoughts have been with employees like Villalobos, who remained loyal to the property, even as the city’s two-decade building boom added megaresorts that dwarfed the aged, 1,720-room Sahara. Post-WWII Las Vegas must have looked very inviting. Men with vision were coming into town to build hotels to cater to Americans hungry to travel after the rationing and sacrifices of the War. In less than ten years, there were five hotels, the El Rancho Vegas, Hotel Last Frontier, the Fabulous Flamingo, the Thunderbird and Wilbur Clark’s Desert Inn built on the two-lane highway that led to Fremont Street. Though some locals wondered where all the people would come from to fill the new resorts, the men with vision kept assuring everyone they would come. Fred Schivo was a long-time gamer who had the idea for the Club Bingo, a 300-seat bingo parlor. He had to find investors that would be willing to take the financial plunge. He lucked out when he met Milton Prell from Butte, Montana. Prell had operated the “30 Club” in Butte but like many other gambling visionaries of the day he relocated to the friendly climes of Las Vegas in the 1940s. Though not as well known today as others such as Wilbur Clark and Del Webb, Prell nonetheless, made an impact on Las Vegas. Club Bingo opened on a rainy day, July 24th, 1947. In addition to the bingo parlor there were a few other games of chance but the Club Bingo had a reputation for fine food in its Bonanza Room. There were no hotel rooms, the Club Bingo was just a club for gambling, fine dining and they had a small showroom that showcased the talented Dorothy Dandridge, comedian Stan Irwin and the Treniers. Located on the east side of the Highway and directly across from the El Rancho Vegas, the Club Bingo had a prime location. In the years ahead, Prell would also build the Lucky Strike and the Mint Hotel on Fremont Street but it was the construction of the Sahara that led to the creation of the Sahara-Nevada Corporation which he would ultimately sell to Del Webb. Prell approached Dallas financial wizard A. Pollard Simon with plans for 276 two-story units. Simon agreed to go ahead with the Sahara project despite the fact he was also helping finance Wilbur Clark’s Desert Inn. Local air-conditioning contractor Al Wild introduced Prell to Del Webb. Webb had just finished working on the Fabulous Flamingo. Wild had known Webb since 1935. Ultimately, according to Wild, Webb, Prell and Simon agreed to a “cost plus” arrangement that included a percentage of stock (20% it was later learned) in the new hotel be given to Webb as partial payment for his services. The architect was Max Maltzmann and the designer was Albert Parvin. Maltzmann had been working in Los Angeles since the 1920s. Architecturally, according to Alan Hess, “the Sahara followed the basic partner of the Desert Inn and the Thunderbird. It featured a tall brick pylon at the entry which anchored the low wings that spun outward from its center like a pinwheel.” The motif was similar to the Arizona Biltmore in Phoenix by Frank Lloyd Wright. There the sculptural elements of the textile block provided ornament. At the Sahara, the signage became the ornament. The theme was North Africa. Statues of plastic camels and Arabs dotted the facade. Inside there was the Congo Room (the showroom), the Casbah Lounge and the Caravan Room. All that seemed to be missing was the Cafe Americain from Casablanca. Life-size models of African warriors, spears held high, flanked the Congo Room entrance. A nomadic caravan including camels was placed out front on the lawn. The Caravan Room looked out over the pool terrace. Like all the other hotels back then, the Sahara was basically a motel in form. It had a low main building with a lobby and a casino in the front and the rooms to the sides. The glassy restaurants such as the Caravan Room looked out not only on the pool area but the well manicured and landscaped lawns. Lucius Beebe gushed “its twenty acres of landscaped ground with rare blossoms and shrubs to make even Boston’s Public Gardens look to its tulips” read more, virtually all about it with note-links, photos and more. I received this in an email and thought I’d pass it on. *All Day Buffet includes Breakfast, Lunch and Dinner and must be used on the same day. Only valid for two (2) days of trip and not valid on arrival day. Maximum 2 All Day Buffets per stay. Rates are subject to change and restricted dates apply. This offer is non-transferable, subject to availability, and may not be used in conjunction with any other MGM Resorts International property offers, including slot tournaments, giveaways, holidays, convention periods and special events. Rates are not intended for guests attending a convention at Mandalay Bay and will be modified to contracted group rate. All prices subject to tax and/or applicable handling fees. Room rates are based on single or double occupancy, additional guest charge of $30 per person, per night unless age 14 or under. Maximum of 4 guests per room. Our resort fee provides you access to select hotel amenities. A daily charge of $18 plus tax will be added to your room account. You must be 21 years of age or older. Mandalay Bay reserves the right to cancel or modify this promotion at its discretion and without prior notice. Mandalay Bay Resort & Casino promotes responsible gaming. If you or someone you know has a problem gaming responsibly, please contact the 24 hour Problem Gamblers HelpLine at 800.522.4700.Mandalay Bay reserves all rights. © 2011 MGM Resorts International™. All rights reserved. World Pizza Games’ competition was held in Las Vegas this week. The Blue Agave Margarita at Agave in Summerlin. Monday, Feb. 21, 2011 | 5:08 p.m.
Agave’s Margarita Day celebration: Agave in Summerlin celebrates with a 100 percent Blue Agave Margarita featuring 1519 Blanco Tequila, Patron Citronge and homemade sweet & sour mix for $4.95. Margarita Day at N9NE Steakhouse: N9NE Steakhouse at the Palms reveals the newest addition to its cocktail menu, the Luxury Margarita, available to guests beginning Feb. 22. The cost is $39 and includes Don Julio Real, Blue Agave Nectar, a fresh lime snowball and a drizzle of Grand Marnier. Margaritaville’s specials: Margaritaville encourages its Facebook fans to participate in their second annual margarita contest by submitting their recipes. The restaurant’s executive staff will select their favorite concoctions, which will be served on National Margarita Day. Enjoy margarita specials, and 2/22 birthdays received a $22.20 gift certificate to use during their visit. Individuals celebrating a 2/22/22 birthday receive complimentary food and beverage the entire day. Drink specials at T&T: The tequila will flow at T&T with 2 for 1 house margaritas from 11 a.m. to 11 p.m. The 20th patron to redeem the offer receives a complimentary dinner for two. T&T’s signature house margarita the Casarita includes Jose Cuervo Tradicional, organic agave nectar, Grand Marnier and homemade margarita mix made from scratch daily with fresh squeezed limes. Also featured is the Chongalicious Margarita, a 56-oz. monster of a drink that includes two 7-oz. Sol beers on top. Celebrate New Year’s Eve in Vegas! Bring in the New Year information for your city – visit ClubZone.Com. I’ve been getting a number of search inquiries on this website for something called The Wicked Spoon. Never one to miss an opportunity to give our readers what they want, here’s some scoop on The Wicked Buffet. Well, The Wicked Buffet is the name of the new buffet at the New Cosmopolitan Hotel in Las Vegas. Although I’m out of town for the time being, I do know that the Cosmo is set to open today – December 15, 2010. What are the chances that the buffet is opening at the same time? Good luck on the opening Cosmopolitan. They’ve had their disagreements over the years, but there was always a certain passion between them. They just needed some place where they could work things out. Introducing La Cave, a dimly lit wine cavern conveniently tucked into the heart of the Strip, opening December 3. There, you’ll find the cave of vino-related pleasures you came for—250 varieties, at last count. Now you can get down to the business of drinking Spanish wine, nibbling farmhouse cheeses and sampling the Bacon-Wrapped Dates and Ham, Egg and Cheese Flatbread. (It’s a very serious business.) And if you feel the urge to explore the patio, you’ll have three pools at your disposal. Depending on how much wine you’ve had. One of my favorite Italian restaurants in Las Vegas “Battista’s Hole in the Wall” is old-school Italian, serving good food for over 30 years. Behind the Flamingo Hilton, just across the street from Bally’s, Battista’s is a freestanding restaurant with a warm, old-world ambiance that welcomes the visitor with a blanket of security from cold Las Vegas. Of course we’re not talking about the temperature here. 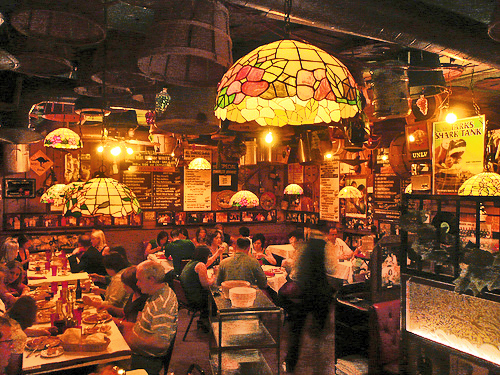 With several prix-fixe menu choices, one can settle in for a night of Old Vegas dining. And yes – accordingly – there is a strolling accordionist. Minestrone Soup or Italian Salad, Garlic Bread, Pasta Side & Homemade Cappuccino. For the menu, directions, reservations, photos and more visit Battista’s Official Website. There is a parking lot in front of the restaurant. Visit the main pages of the LasVegasBuffetClub.